HK Porter's 18-1/4" General Purpose Center Cut Cutter cuts material up to Brinell 455 / Rockwell C48. HK Porter's 0190MTN 24" Shear Type Cable Cutter cuts up to 3/8" wire rope. HK Porter's 0390CSP 37" Communications Cable Cutter cuts lead- and rubber-covered communications cable only. HK Porter's 0390MTN 36" Shear Type Cable Cutter cuts up to 5/8" wire rope. 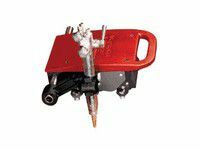 HK Porter's 0590MTN 42" Shear Type Cable Cutter cuts up to 3/4" wire rope. HK Porter's 0590RBJN Rebar Cutter and Bender cuts and bends to 90° or 180°. HK Porter's 0690C 9" Handklip Cutter cuts materials up to Brinell 300 / Rockwell C31.